Margaret Inez Beaver Nicholls- age 91 passed away Tuesday September 11, 2018 in Beaumont, Texas. Margaret was born January 27, 1927 in Iowa Park, Texas the daughter of the late Joseph F. Beaver and Beulah Beaver. Margaret enjoyed cooking, sewing, and crocheting. She was an active member of the Liberty Church of Christ where she also taught Sunday school. Margaret and her close friend Willo Dean were known for walking together almost every day for many years. 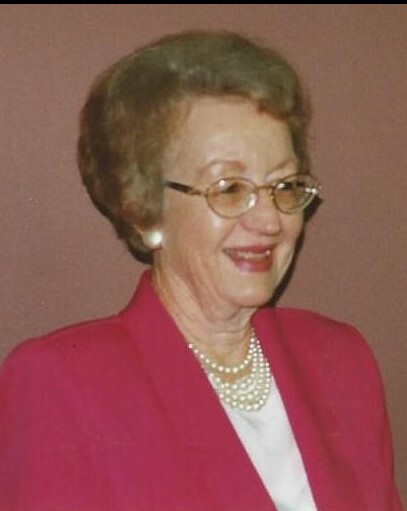 A homemaker, she was a graduate of Iowa Park High School, and volunteered for Kersting Memorial Hospital. She was preceded in death by her parents as well as her husband Ed Nicholls, her brothers Homer, Norman, Raymond, Frances, Robert, and Reginald Beaver, and her three sisters Peggy Rodolph, Betty Hall, and Mildred Lindhout. She leaves behind to cherish her memory her daughter Beverly Antilley and her husband David, son Michael Nicholls and his wife Lisa, her four grandchildren Jason Antilley and wife Christy, Jeremy Antilley, Kristy Bircher and husband Dr. Chad Bircher, and Matthew Nicholls and wife Heather. In addition she leaves her great grandchildren Allyson Antilley, Hunter Bircher, Blake Antilley, Brentyn Bircher, and Lizzy Bircher. She will be sadly missed by all who knew and loved her. A gathering of family and friends will be held 11AM Saturday September 15, 2018 at the Liberty Church of Christ to celebrate Margaret's life. Condolences and memories can be left online at www.allisonfuneralservice.com.